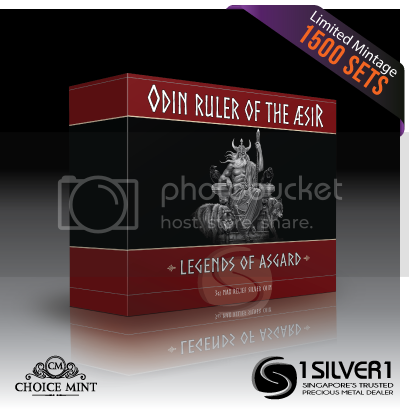 Odin - Legends Of Asgard Series. 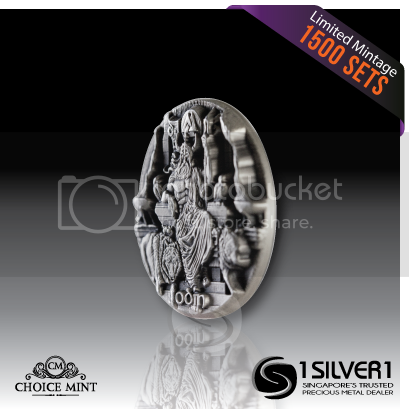 Hello everyone,I am taking Pre-Order for the upcoming 3oz high relief antique finishing silver coin. Price will be at $260 Nett which guarantees the same serial number for upcoming coins in the series also. 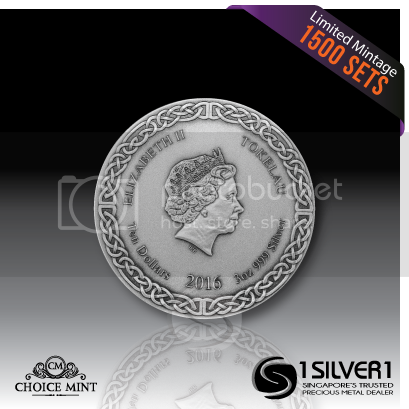 We are Singapore exclusive distributor for this coin and ETA for the coin will be end September and latest by 1st week of October. Please message me at 9689 5752 to place your order! I only have 6set left for Pre-order. Last edited by Nkx111; 08-09-2015 at 03:29 PM. Last edited by Nkx111; 02-11-2015 at 05:04 PM. Hello everyone! 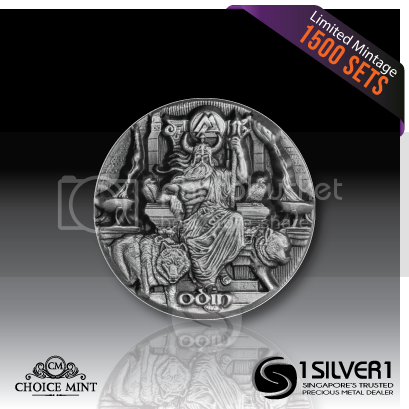 Its been a long long wait for those who have ordered this coin and finally there is updates from the Mint that the coin will be shipped out to us next Monday! I will contact those who have ordered and let you know the date of collection. Thanks for the support once again.